Visit the global The Problem: Civilization » Human Supremacy » Human Supremacy archives for posts from all DGR sites. More than any other area of North America, the Southwest faces water shortages just as demands for water increase. These colliding forces are inevitable products of industrial civilization. Deep Green Resistance chapters across the Southwest recognize the imminent catastrophe. We view the protection of ground and surface water, and the protection of indigenous peoples’ rights to their water and landbase, as critically important. We declare water preservation and justice as our primary focus. The region is among the driest areas in the world. The southwest receives only 5-15 inches of rainfall a year and nearly all climate models predict an increase in both aridity and flooding with global warming. As increasing temperatures force the jet stream further north and more surface water is evaporated (notably in desert reservoirs like Lake Powell where an average 860,000 acre-feet of water—about 8 percent of the Colorado River’s annual flow—is lost every year), overall precipitation is decreasing even as summer storms paradoxically become more intense. And there is no margin of safety from which civilization can draw—the Colorado River, for example, is already fully allocated; all the water is claimed. Agriculture is far and away the largest water consumer: California’s Imperial Irrigation District consumes 3.1 million acre-feet of Colorado River water every year, compared to the rest of Southern California, which gets only 1.3 million. Large amounts of water are also used for oil and gas drilling—an estimated 100,000 gallons per fracked well—and coal mining and burning. The water shortage is already wreaking havoc among wildlife. In California, the drought is partially implicated in the deaths of tens of thousands of native waterfowl. As water sources dry, birds congregate around remaining oases like fountains and irrigation ditches. In such close quarters, disease spreads quickly. Other victims of water scarcity in California include scores of thousands of bark beetle-killed trees—so much so that these results “herald a region in ecological transition.” Unsurprisingly, 2015 is among the worst California fire seasons ever.This year, twelve western states declared drought emergencies. 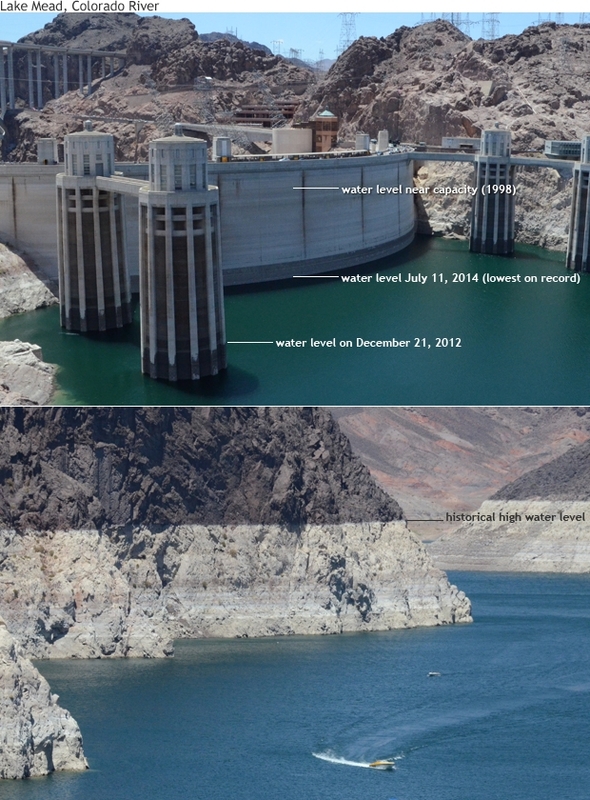 On April 25, 2015, the largest US reservoir, Lake Mead, dropped to an historic low of 1,080 feet. That record surpassed the previous low set last August; Mead has never been lower since it was filled in the 1930s. These conditions are unlikely to improve. In spring of 2015, snowpack in the Sierra Mountains measured at just 5 percent of normal. These unprecedented changes are driving ever more desperate and costly projects, such as the Southern Nevada Water Authority’s planned multi-billion-dollar pipeline project in eastern Nevada’s and western Utah’s arid basin and range country. If completed, the project would pump billions of gallons of groundwater to Las Vegas, threatening the Goshute Indian reservation, the livelihoods of ranchers, many rare endemic species, and the land itself. A proposed California water pipeline may move as much as 7.5 million acre feet of northern California water south a year. It was just revised to include only a third of the originally planned habitat protection, re-allocating water from the Sacramento-San Joaquin Delta. Situated between California’s wetter north and its dry and populous south, the delta contains one of California’s largest remaining wetlands, home of green sturgeon, steelhead, and endangered Delta smelt. More extreme are plans to siphon off some of Canada’s abundant water to California. As drought and demand continue their increasing arcs, however, these desperate plans for massive water transfers become more acceptable to many. The government-industry axis takes water from the less powerful, regardless of any natural rights such groups may have. This cannot continue, not even beyond the very short term. When the unstoppable force of increasing demand for water—continuing without limit—meets the immovable object of shrinking water supplies, environmental devastation and injustice swiftly follows. DGR Southwest Coalition supports any protective or restorative action for ground and surface water, including the removal of dams and reservoirs by any means necessary. At the same time, we advocate for and support the dismantling of the systems (capitalism specifically and industrial civilization generally) as the only strategic way to safeguard the planet, and to keep it from degrading into a barren, lifeless husk. These are daunting tasks, no doubt, even if we limit our focus to the southwest; and yet, it’s a critical calling for all of us who care for life and justice. We are reaching out to others who also view water protection and justice as values worth fighting for. For example, preserving instream flows (what’s left in a stream channel after other allocations) and groundwater protection—from fracking, from water mining, from surface contamination. We offer whatever expertise and resources we can muster, and all the passion we have, for our landbase. We’re ready to work with those who struggle with these problems; we’re also ready to take on whatever role is necessary in support of their fights. This fight should be shared. Please contact us so we can network with you in pursuit of water, justice, and life. “Glen Canyon Dam,” Wikipedia, accessed December 10, 2012, http://en.wikipedia.org/wiki/Glen_Canyon_Dam. An acre-foot is about 325,853 US gallons. This entry was posted in Agriculture, Mining & Drilling, Movement Building & Support and tagged DGR activity & statements, Deep Green Resistance, Drought, Goshute, Southwest, Water, 11: Civilization is a culture of occupation on October 1, 2015 by DGR Colorado Plateau. Editor’s Note: This essay, by Deep Green Resistance Australia member Kim Hill, first appeared in Stories of Creative Ecology. 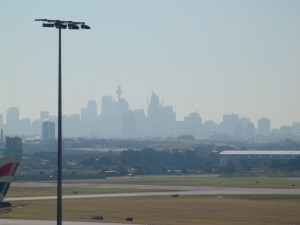 Worldwide 40 percent of all human deaths are attributable to industrial pollution, according to Cornell University. In the US Southwest, coal mines and power plants, oil and gas fracking, agricultural chemicals, mining and smelting wastes, military wastes, and many other hazards all pose a risk to the health of humans and other living things. I think I’m dying. My heart is beating too fast, I’m too weak to get out of bed most days, and some days I don’t even have the energy to eat. It’s been like this for years. It’s been getting gradually worse. I haven’t read a book, taken a walk, watched a movie, visited a friend, or done anything useful in months. I can’t focus, can’t even think most of the time. I’m not the only one. Many of my friends are also ill. I see the sickness all around me. Every year there are less fish in the sea, less birds in the trees, less insects. 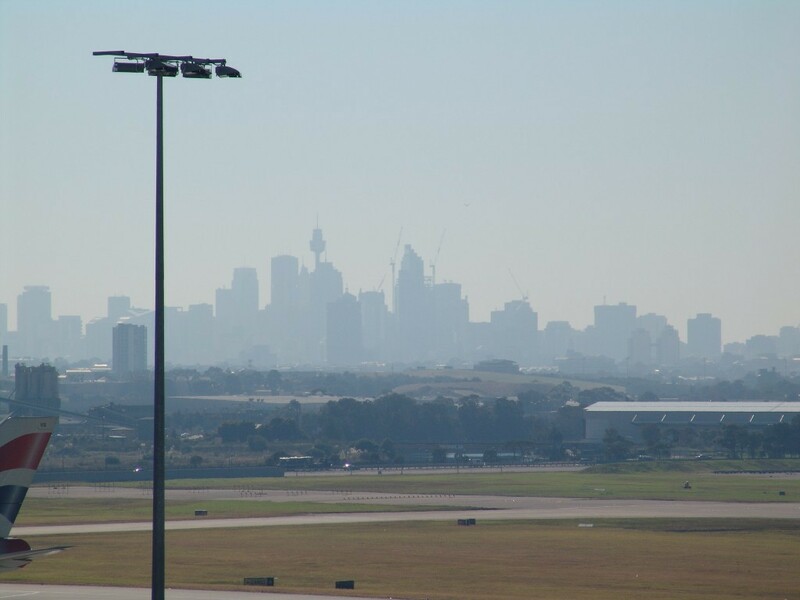 The air smells more toxic, the industrial noise is getting louder. Every day, 200 species become extinct. Most rivers no longer support any life. Around half of all human deaths are caused by pollution. We’re all dying of the sickness. My own illness can be attributed to heavy metal and chemical toxicity, from mining, vaccines, vehicle exhaust, and all the chemicals I’m exposed to every day, indoors and out. They’re in my food, in the air, in the water I drink. I can’t get away from them. There’s no safe place left to go. I can’t get any better while these are still being made, being used, being disposed of into my body. It’s not just chemicals, but electromagnetic fields, from powerlines, phones, wifi and cell phone towers. The food of industrial agriculture, grown in soils depleted of nutrients and becoming ever more poisoned, is all I can get. It barely provides me with the nutrients I need to survive, let alone recover. Let food be thy medicine, but when the food itself spreads the sickness, there’s not much hope for anyone. When the soil life dies, the entire landscape becomes sick. The trees can’t provide for their inhabitants. They can’t hold the community of life together. The intricate food web, the web of relationships that holds us all, collapses. Will I recover? With the constant assault of chemicals, electromagnetic fields, and noise, it seems unlikely. Will the living world recover, or will it die along with me, unable to withstand the violent industries that extract the lifeblood of rivers, forests, fish and earth, to convert them into a quick profit? Western medicine can’t help me. All it can offer is more chemicals, more poisons. And new technology can’t help the land, the water, the soil. It only worsens the sickness. If I am to heal, the living world must first be healed. The water, the food, the air and the land need to recover from the sickness, as they are the only medicine that can bring me back to health. The machines need to be stopped. The mining, ploughing, fishing, felling, and manufacturing machines. The advertising, brainwashing and surveillance machines. The coal, oil, gas, nuclear and solar-powered machines. They are all spreading the sickness. It’s a cultural sickness, as well as a physical one. Our culture is so sick that it barely acknowledges the living world, and has us believe that images, ideas, identities and abstractions are all we need. It all needs to stop. The culture needs to recover, to repair. I need your help. I can’t do this myself. I’m close to death. To those who are not yet sick, those who have the strength to stand with the living, and stop the sickness: I need you now. Not just for me, but for everyone. For those close to extinction, those who still have some chance of recovery. We all need you. Today is the last day on Earth for many species of plants and animals. Every day, the sickness consumes a few more of us. If I didn’t have friends and family looking after me, I wouldn’t be alive today. When the whole community becomes sick, there is no-one left to take care. This is how extinction happens. It doesn’t have to happen. It can be stopped. Some people, mostly those in the worst affected areas, are taking on the sickness, fighting because they know their lives depend on it. They see the root cause of the affliction, not just the symptoms. They are taking down oil rigs, derailing coal trains, and sabotaging pipelines and mining equipment. They’re blockading ports, forests, mine sites and power stations, and doing everything they can to stop the sickness spreading further. They are few, and they get little thanks. They need all the help they can get. With a collective effort, the sickness can be eradicated, and we can all recover our health. This entry was posted in Toxification and tagged DGR writing & analysis, Human health, Kim Hill on September 16, 2015 by DGR Colorado Plateau. Blaze, the mother bear just killed in Yellowstone, with a family of cubs. If you are not outraged at the way this culture destroys life, why not? If you are not outraged at the murder of Blaze just two days ago, why not? If you are not outraged at John Waggoner for annihilating 2000 acres of prairie dogs for a tract home development, why not? Bison that are continually under threat of being killed for roaming or because they are blamed, much like prairie dogs, for the spread of brucellosis. 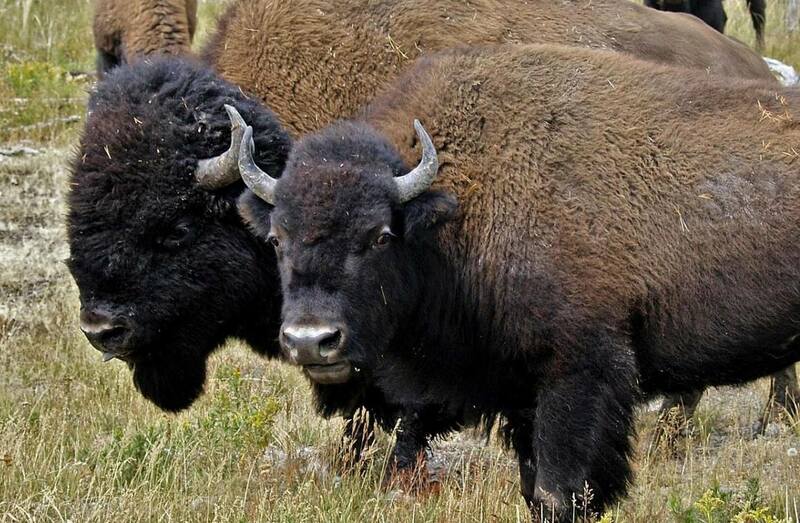 If you are not outraged at the continuous slaughter of the last remaining bison in Yellowstone that happens yearly, why not? If you are not outraged at Wildlife Services for killing over 2 million animals—at taxpayers expense, on a yearly basis—why not? This culture continually destroys the planet and time is running out. 200 species go extinct each and every day. 99% of grassland prairies are destroyed, 98% of old growth forests gone, every single stream is full of dioxins, along with every mother’s breast milk. Echo, the beautiful wolf killed by a hunter who was never penalized. If you are not outraged about Echo, the beautiful wolf that traveled 750 miles to the Grand Canyon only to be shot by a hunter who got away with this atrocity without any repercussions, why not? All of the integral keystone species of life are on the chopping block, heading fast towards extinction. Our strategies and tactics MUST change. We can not stand by any longer and watch our world continuously unravel as the sociopaths lead all of us closer and closer to extinction. It is time to fight, fight for the living, to do what it takes to save what remains. Don’t continue to turn away. Insist on protecting life and defending your beloved by any means necessary. It is time we roll up our sleeves and get to work. Let us all join together, realize what is at stake, and begin the hard work of forcing change that will protect the future. Visit WildLands Defense or Deep Green Resistance to find out how to help. This entry was posted in Biodiversity & Habitat Destruction and tagged Bears, Bison, Prairie dogs, US Fish & Wildlife Service, Wildlands Defense, Wolves, Yellowstone National Park, 10: Civilization is driven by a death urge on August 16, 2015 by DGR Colorado Plateau. Editor’s Note: this first appeared on EcoWatch. Dozens of environmental activists have signaled that the expansion of the tar sands in Utah will not happen without a fight. Yesterday, about 40 protestors disrupted the work on the Utah tar sands strip mine, the first to be built in the U.S., located in the Book Cliffs wilderness area. The activists blocked a road using two tripods trying to stop traffic on the road which the tar sands firm, U.S. Oil Sands, is constructing south east of Salt Lake City. The company is starting an $80 million construction phase to start to strip mine tar sands rock and turn it into fuel. 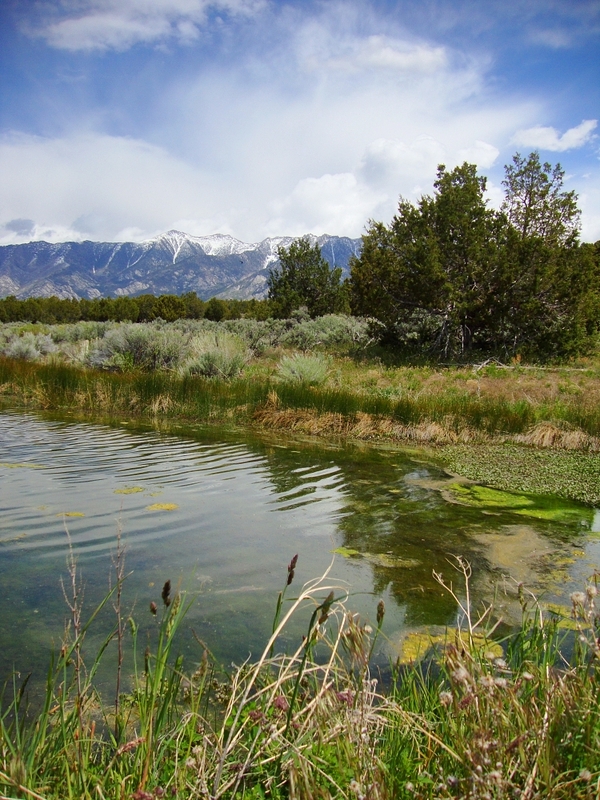 The company operates on land traditionally inhabited by the Ute people, which is now managed and leased to private corporations by the state of Utah. By the end of yesterday, four people had been arrested by police using cherry pickers to evict them. At one stage yesterday, though, the cherry picker itself had to stop work as one activist locked on to the vehicle itself. All the activists arrested were bailed out by late yesterday. Melanie Martin from the group behind the protest, Peaceful Uprising, told the local media that they wanted to avoid the wanton destruction of Utah as had happened with the tar sands in Alberta. Martin added: “Nothing has reassured us whatsoever that their project would be anything but a toxic mess for the Colorado Plateau region, or the southwest U.S. The protest comes as the dangers of mining were reflected recently in the area when one million gallons of wastewater containing lead, arsenic and cadmium leaked into the Animas River in nearby Colorado from a long-abandoned gold mine, turning the river bright mustard yellow for several days. Todd though was disappointed that no one believes him and the protests are set to continue. Peaceful Uprising is planning more vigils as well as an action camp. This entry was posted in Mining & Drilling, Obstruction & Occupation and tagged Tar sands, U.S. Oil Sands, Utah on August 12, 2015 by DGR Colorado Plateau. Editors note: this post comes from the folks at Save Nevada’s Water: Ban Fracking In Nevada. While the comment period for the BLM ends soon, public pressure and action against these projects can continue to be effective even afterwards. After all, these are supposed to be federal lands and federal agencies – we’re supposed to be in charge, not the corporations. For those of you that haven’t heard already, the Nevada BLM has put out an environmental assessment on 80,00 acres of land they are opening up for oil and gas lease sale only a few moments away from Mesquite, and the Virgin River that drains into Lake Mead. And if you are willing please email the above letter to eyfoweb@blm.gov, or call the Ely district office at 775-289-1800 and provide your comments over the phone. I write to you today as a member and supporter of Save Nevada’s Water: Ban Fracking in Nevada, Nevadan’s Against Fracking, and as a concerned citizen to comment on what a horrible idea it is to frack in the area currently slated for gas and oil lease sales along the Southern/ Northern Border of the Ely and Southern Nevada BLM districts in Nevada that is also nestled in the Virgin River Valley. The area as your assessment puts it “is a rock formation found within the analysis area are indicative of a continental plate margin converging with an oceanic plate.” The quoted line indicates that you are allowing the fracking of areas that are riddled with fault lines. These fault lines will only increase the certainty of contamination of our precious ground water and surface water resources. The area slated for fracking is also directly connected to the Virgin River itself which ultimately drains into Lake Mead. This further compounds complications that will arise from contamination as Lake Mead serves as the only drinking water supply of Las Vegas. The fact also remains that the state of Nevada does not require the full disclosure of the chemicals used in Fracking, which will also mean that neither you the BLM, nor the public will know what is being put into our water, and how to monitor it if at all. Furthermo re your assessment does not explicitly include details of how deep the water table goes in the area, where the fault lines of the area are, what level of interconnectivity there is between the Virgin and Muddy Rivers and the aquifers in the area. We have to assume that you the BLM will be relying on the oil and gas developers to do the aforementioned leg work, which is simply dangerously irresponsible and reckless. Your assessment with regards to what fracking will do to the local flora and fauna is also lacking. Your assessment does not include any information as to the effects this lease will have on native migratory birds of the area. You rely only on the hope that oil and gas developers will adhere to existing regulations and assume that will be enough to protect sensitive species. The aquifers in the area feed water into the Virgin and Muddy Rivers which house endangered species, not just threatened or protected species, and you make no mention on the safeguards against contamination, and or an action plan for when contamination occurs. The area is also part of desert tortoise habitat. Besides the harm this lease sale will result in for the local ecology, there will be profound effects to humans in the rest of Southern Nevada. If the fact that we are in a historic drought, and that the water that will be used for these drilling projects is coming from our own ground water is not enough reason to not permit the lease of these lands, then what about the protection of historic and cultural resources? The areas slated for drilling are also in the Moapa Valley, home to the Moapa Band of Paiutes. The area deserves to be free of this sort of irreparable damaging process. Your assessment states that “Less than 10% of the Ely District has been adequately inventoried for cultural resources.” And your report goes on to say “The lease of oil and gas parcels does not entail ground disturbing activities as part of the undertaking. Therefore, this undertaking would not result in impacts to Cultural Resources.” The above quoted statement is completely false and should be retracted. I would even goes as far enough to say that the person that wrote that line in the assessment should be fired, and put under investigation for corruption as I am certain they are on the take of some oil or gas company. In order to even get to the area to set up rigs, there has to be surface disturbance. What the frack is wrong with the person that wrote this section of the assessment? I urge the Ely District of the Nevada BLM to reconsider the need to even offer these lands for oil and gas lease sales, and instead stop any and all gas lease sales until the process of fracking has been banned by the Nevada Legislature or Congress, therefore saving much of Nevada’s precious groundwater resources, and making the BLM good stewards of the land they can and should be. The BLM has many other issues to address like drought, cataloging cultural resources, ecological studies, and brushfires. Gas and oil lease sales should not be one of the priorities of the Nevada BLM. The fact is that the administration of the BLM can simply ignore the push from certain legislators and industry to lease land for oil and gas development. If the BLM of Nevada stops issuing these gas and oil lease sales, you will have the support of the people of Nevada in your decision to do so. I appreciate your consideration of my comments, and respectfully ask that you stop giving a frack about the people and entities that are pushing you to hold these gas oil lease sales and act on the behalf of the public to be the best stewards of the land we the public, your real bosses want you to be. This entry was posted in Lobbying, Mining & Drilling and tagged Bureau of Land Management, Fracking, Natural gas, Nevada, Oil, Water, 11: Civilization is a culture of occupation on July 22, 2015 by DGR Colorado Plateau. The crowfoot valley prairie dog colony site, with thousands of burrows covered over and poisoned. The once vibrant landscape was full of jump yips and prairie dog calls just a week ago. Now the entire landscape is eerily silent, with turkey vultures, eagles and ravens circling the area to feed on poisoned prairie dogs. When we visited the Crowfoot site to confirm the mass annihilation of the last large colony of prairie dogs in the Castle Rock area, we found that all the burrows were packed hard as concrete. I tried to shovel out the burrows but could not because they were packed so tight. Fumitoxin was most likely the poison used to kill this amazing colony. 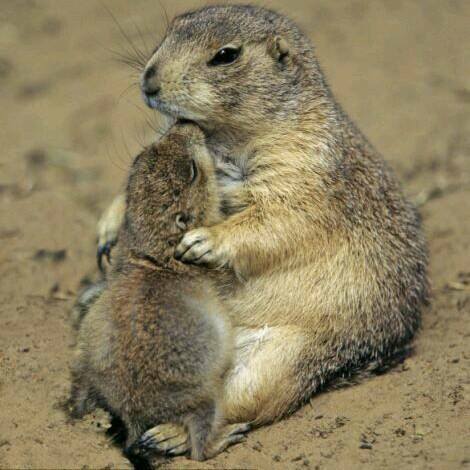 I think it is very difficult, but extremely important, for all of us to understand what fumitoxin does to these prairie dogs. I kept imagining the thousands upon thousands of prairie dogs trapped in their burrows suffering excruciatingly from the horror that John Waggoner and his hired hands brought to these sentient beings. Derrick Jensen researched the effects of fumitoxin and wrote the following description of what happens to these prairie dog families. The only thing that is not spot on about this description is the length of time it takes for a prairie dog to die. Fumitoxin causes a slow death, between 2-7 days as the animals inner organs slowly melt and bleed out inside of them. 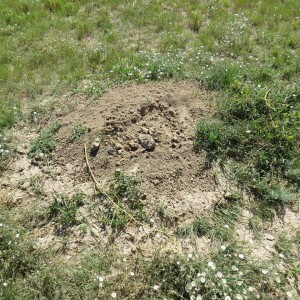 One of the burrows at the Crowfoot Valley site where Lowe Enterprises hired exterminators to bury the prairie dogs alive by shoving poison in their holes and packing them tight as concrete to seal in their fate. You don’t panic when the first entrance is sealed. There’s no reason to: that’s why there are multiple exits. You move to the next exit. It also is sealed. You’re still not concerned. Of all places, this is where you’re supposed to be safe. Nonetheless it is troubling that two entrances are sealed. You check out a third, and a fourth. All sealed. Others do start to calm. Then one of your daughters—she’s nothing more than a pup, really—begins to complain of nausea. Her grandmother —your mother—rushes to her side, begins to stroke her head and back, talking to her constantly. Then one of your nephews doubles over, begins moaning from abdominal cramping. Someone, too, rushes to his side. The nephew lets go with explosive diarrhea. This does not deter the elder from comforting him. Another burrow packed in by prairie dog exterminators. You’re having a hard time holding down your own panic. Around you, your friends and family are losing control of their bodies. They are vomiting, defecating, bleeding all over themselves. Some are moaning or keening. A few are screaming. You want to attend to them, but you need to help your love. And then his body stiffens, seizes, seizes, then seizes. Something shifts inside of him, and something leaves, and he is finished. Prairie dog pup who made it to the surface by digging out of his burrow before being killed by Fumitoxin poison. Contact John Waggoner, the individual in charge of directing this mass killing, if you haven’t done so already. Also contact the founder and executive director of Lowe Enterprises to let them know that we will not accept this slaughter and do not want this development in our community and world. 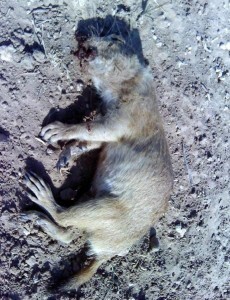 This entry was posted in Biodiversity & Habitat Destruction and tagged Animal abuse, Castle Rock, DGR writing & analysis, Deanna Meyer, Derrick Jensen, Prairie dogs, 10: Civilization is driven by a death urge on July 20, 2015 by DGR Editor. Deep Green Resistance understands that Green Technology, Renewable Energy and other similar terms/approaches are a false promise. They will not, and can not, deliver us from the devastation that industrial civilization is wreaking on the planet. We’ve posted that before on this forum (see The Deep Green Resistance Perspective). What’s wrong with renewable energy? 1. Solar panels and wind turbines aren’t made out of nothing. They are made out of metals, plastics, chemicals. These products have been mined out of the ground, transported, processed, manufactured. Each stage leaves behind a trail of devastation: habitat destruction, water contamination, colonization, toxic waste, slave labour, greenhouse gas emissions, wars, and corporate profits. Renewables can never replace fossil fuel infrastructure, as they are entirely dependent on it for their existence. 2. The majority of electricity that is generated by renewables is used in manufacturing, mining, and other industries that are destroying the planet. Even if the generation of electricity were harmless, the consumption certainly isn’t. Every electrical device, in the process of production, leaves behind the same trail of devastation. Living communities—forests, rivers, oceans—become dead commodities. 3. The aim of converting from conventional power generation to renewables is to maintain the very system that is killing the living world, killing us all, at a rate of 200 species per day. Taking carbon emissions out of the equation doesn’t make it sustainable. This system needs not to be sustained, but stopped. 4. Humans, and all living beings, get our energy from plants and animals. Only the industrial system needs electricity to survive, and food and habitat for everyone are being sacrificed to feed it. Farmland and forests are being taken over, not just by the infrastructure itself, but by the mines, processing and waste dumping that it entails. Ensuring energy security for industry requires undermining energy security for living beings (that’s us). 6. Renewable energy subsidies take taxpayer money and give it directly to corporations. Investing in renewables is highly profitable. General Electric, BP, Samsung, and Mitsubishi all profit from renewables, and invest these profits in their other business activities. When environmentalists accept the word of corporations on what is good for the environment, something has gone seriously wrong. 7. More renewables doesn’t mean less conventional power, or less carbon emissions. It just means more power is being generated overall. Very few coal and gas plants have been taken off line as a result of renewables. 8. Only 20% of energy used globally is in the form of electricity. The rest is oil and gas. Even if all the world’s electricity could be produced without carbon emissions (which it can’t), it would only reduce total emissions by 20%. And even that would have little impact, as the amount of energy being used globally is increasing exponentially. 9. Solar panels and wind turbines last around 20-30 years, then need to be disposed of and replaced. The production process, of extracting, polluting, and exploiting, is not something that happens once, but is continuous and expanding. 10. The emissions reductions that renewables intend to achieve could be easily accomplished by improving the efficiency of existing coal plants, at a much lower cost. This shows that the whole renewables industry is nothing but an exercise in profiteering with no benefits for anyone other than the investors. This entry was posted in Mining & Drilling and tagged BP, DGR writing & analysis, Greenwashing, Kim Hill, Solar, Wind on July 20, 2015 by DGR Colorado Plateau. 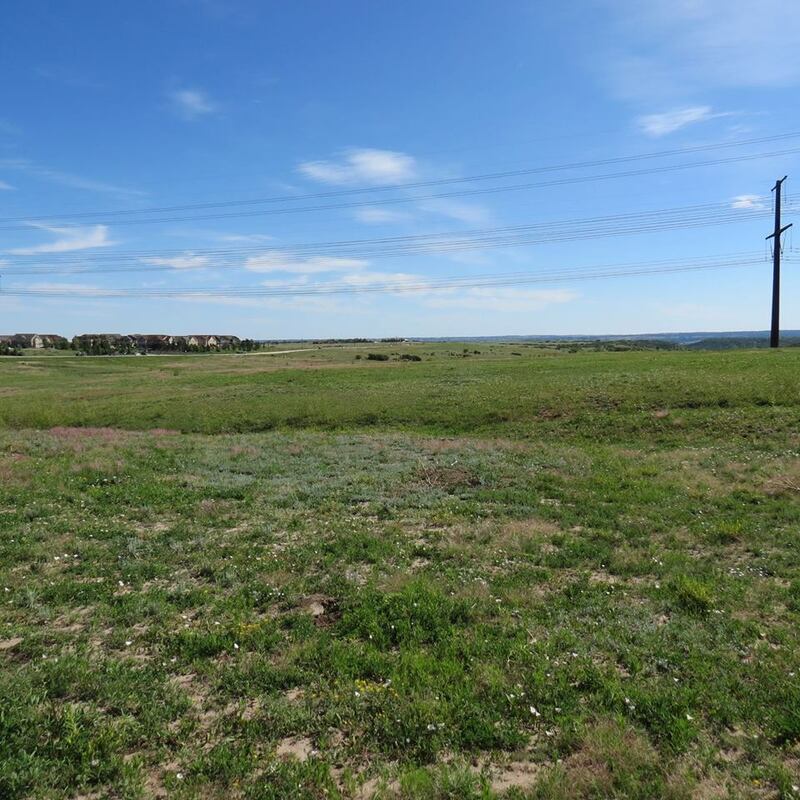 Deanna Meyer of Deep Green Resistance Colorado and Brian Ertz of Wildlands Defense teamed up to organize a 2015 campaign to delay construction of a Castle Rock, Colorado, mega-mall to save threatened prairie dogs. They discuss the campaign and some broader lessons for activists. 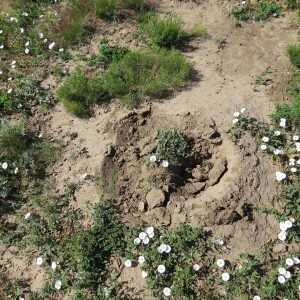 This entry was posted in Biodiversity & Habitat Destruction, Strategy & Analysis and tagged Castle Rock, DGR writing & analysis, Deanna Meyer, Prairie dogs, Video on July 5, 2015 by DGR Colorado Plateau. Please let Channel 7 news know that their coverage of the following story lacked factual information and was unacceptable. With prairie dogs disappearing across the landscape with populations at less than 1% of their historic numbers, it is more important now than ever that the truth is told and that prairie dogs are not associated with vile rumors built on insubstantial lies. In the Channel 7 news clip, channel 7 news inadvertently tries to blame the plague on prairie dogs. There is no evidence that this is the case, and if it were, the prairie dogs involved would be dead as the colonies “plague out” and die within 3 days to a week if they have plague carrying fleas. There is absolutely no evidence that any of the prairie dogs in Larimar County were infected with plague carrying fleas or that the teen in this story contracted the plague from prairie dogs. Any “rodent” can have the fleas and dogs and cats actually carry the plague. 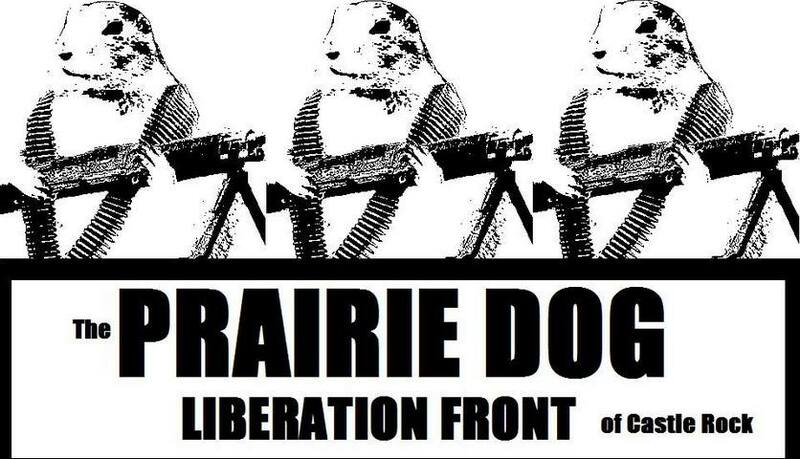 Follow the Facebook page Save the Castle Rock Mall Prairie Dogs for updates. 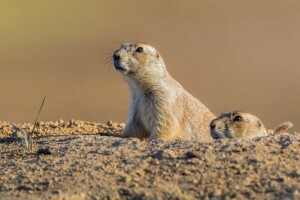 This entry was posted in Biodiversity & Habitat Destruction and tagged Colorado, Prairie dogs, 14: We are enculturated to hate life on June 25, 2015 by DGR Editor.